In the last few years, populism – on both the right and the left – has spread like wildfire throughout the world. Economic changes and downturns have left sections of populations worse off. What are these economic grievances that drive populist movements? And how can our welfare systems designed to support them prevent these grievances? 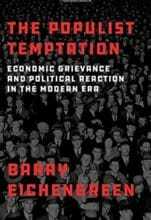 Against the backdrop of the Trump presidency, Brexit, and European populist movements, Barry Eichengreen – a Professor of Economics at UC Berkeley and a regular contributor to The Guardian – has written the book The Populist Temptation. It is an attempt to situate today’s populism in an economic and historical context. He is convinced that populism, all the way from the nineteenth century up to the present, is the result of anxiety sparked by insecurity and unfairness. This then shades into distrust of elites – and by the same token of all trained experts – because of their perceived distance from and contempt for ‘the people’. 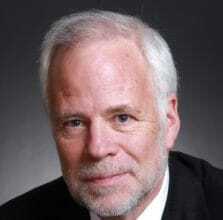 Eichengreen will explore the global resurgence of populism which usually follows in the wake of major economic crises, and will examine ways to address the concerns that populists raise. Click here to listen to Eichengreen talk about his reasons to write this book and here to buy the book via Athenaeum Boekhandel. Use the code JOHNADAMS2019 to get a 10% discount.